As the year closes, Doral real estate is on a huge upswing. Between new communities under construction and in the planning phase and the already established neighborhoods that draw home buyers to them, Doral is definitely a city to watch. Huge corporations have opened offices here, most recently, Amazon’s new fulfillment facility, because they see Doral’s potential for growth. This home sold in May after being on the market for just under a year. It is probably one of the most exquisite homes in Doral and had to wait for the right buyer. It is a large estate with nine bedrooms and 10 baths under over 11,000 square feet. Yes – over 11,000 square feet for less than $4 million. 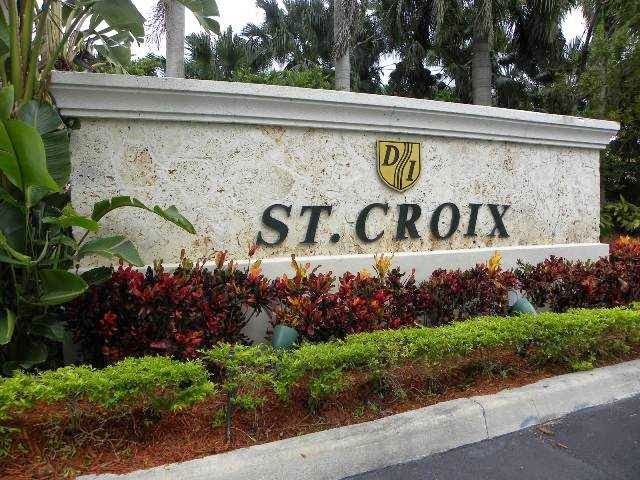 Situated on a lakefront property in the exclusive Doral Estates neighborhood, there are currently five properties for sale in Doral Estates with list prices ranging between about $1.4 million and almost $3.4 million. As for sales this year, only two other properties sold in 2014 also in the first half of the year. Doral Estates is one of Doral’s most exclusive neighborhoods in Doral. Most homes have all the amenities that homes of this caliber expect to have: private pools, large living areas with detailed fixtures and finishes, high-end appliances and more. Oh, and Doral Estates is a guard-gated neighborhood which is always an added benefit for multi-million dollar homes. Another home located in Doral Estates, this 3,681 square foot home sold for $1,720,000 in June. It is a four-bedroom, three-bath home with an in-ground pool and beautifully landscaped yard. This property is one of three properties with sale prices between $1.35 and $3.6 million and an average price per square foot at about $402. Just as we said earlier, there are currently six Doral Estates homes for sale with list prices falling between just under $1 million and $3.4 million. With this home and the others that sold in 2014, it is clear that the list and sale prices are on the rise. The third most expensive home in Doral that sold in 2014 was, again, in Doral Estates. This 4,100+ square foot home features five bedrooms and four baths. It has a lot of amenities including beautiful water and fairway views of the Trump National’s newly redesigned Blue Monster Course. As one of three homes that sold in 2014, this home was listed and sold in just over a month. With a sale price per square foot of $408, it was the closest to the average putting it right in line with the market. Doral Isles is a large community within Doral that features a mix of residential properties. The entire community is one in which many residents choose to live because of its family atmosphere with so much to do. From the huge resort-style community pool with water falls and a fantastic clubhouse to the soccer fields and other sports courts and playgrounds to its convenient location that is close to top golf courses, shopping and traffic arteries into and out of Miami Dade, this is a highly sought after neighborhood. There are just over 100 properties for sale in Doral Isles with list prices ranging from about $300K to over $1.4 million. This 3010 square foot single family home has 5 bedrooms and 3.0 bathrooms. As one of the larger homes in Doral, this home is situated in one of Doral Isles most exclusive neighborhoods – Mediterannea. It houses six bedrooms and four full baths under about 4,400 square feet along with a large back patio are with pool. It listed and sold within 83 days at just under the list prices of $1,150,000. 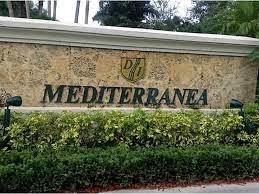 There are currently six properties listed in Mediterranea (probably the most exclusive Doral Isles community) with list prices between about $950K and $1.4 million. As the only property in this section of Doral Isles that has sold within the last six, this home is a definite show place. The average price per square foot was just under $260 which, compared to that of listed properties made this home a bargain (relatively speaking). As 2015 kicks in, the market is primed and ready for buyers and sellers. Sellers are finally seeing a return on their investment; buyers still have an opportunity to find diamonds in the rough as new developments and neighborhoods begin to come to fruition. Neighborhoods under development including The Sanctuary at Doral, IVI Doral, and the Mansions at Doral show list prices starting at about $1 million which brings an entirely new vibe to this city. With Miami experiencing such a boom of sorts and seeing increasing list prices, the upward ripple will extend west towards Doral.